As useful and awesome as salt is, there are plenty of times when pouring salt on the ground is just not… kosher. (Ahaha! Still not sorry!) For example, if you do this outside, you will kill whatever plants were growing where you put the salt. So, don’t pour a salt circle outside, mmkay? It’s bad for things. Also, if you have carpets, or you really need to keep your practice low key, a salt circle isn’t going to cut it. It’s messy and sometimes you don’t want to explain to muggles what you’re doing with the salt shaker. My mini Salt Circle bottles with their elemental associations. Could not resist the Himalayan salt crystal in the background! Of course, you don’t need salt for your circle. You can mark a circle with anything, or even just use your own visualization. 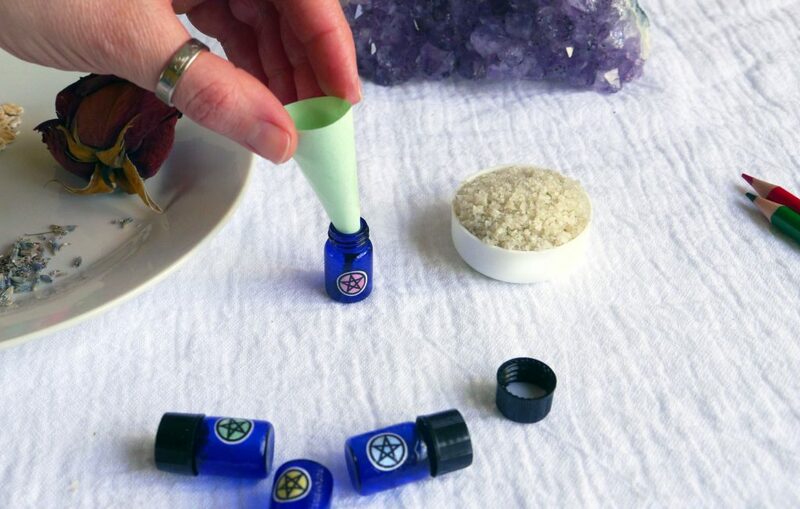 But having some salt around really does add to the feeling of the ritual, and that’s important for getting your subconscious on board with what you’re trying to accomplish. So, I’m going to show you how I made some DIY salt circle bottles that also represent the quarters and elements. 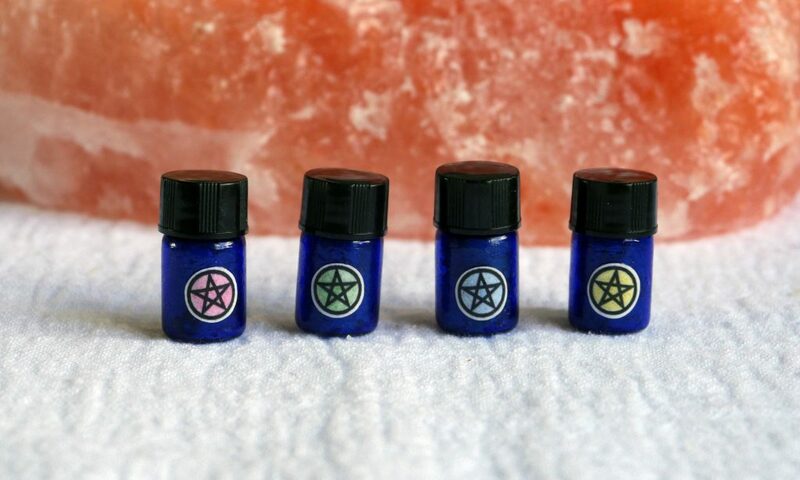 AND, these ones are travel-friendly, so they’ll go perfectly with a travel altar. This way, you can use them outside without causing damage. First, you’ll need some bottles. The kind you choose is up to you. I have these cobalt dram bottles that are intended for oils. I wanted tiny bottles to fit in my travel altar, but if you want to get fancy, use spice jars or something bigger. Then, you’ll need to decorate the bottles somehow so you know which element it represents. I had some pentagram stickers that I colored to correspond to the elements and then used Mod Podge to keep them on there. You can use whatever you like to decorate your bottles. Colors and herbs that correspond to the elements and directions will make these salt circle bottles multi-functional. Once your bottles are ready to go, you’ll need salt! I love this gray Celtic Sea Salt (I use it for cooking too), but you can just use table salt if that’s all you have. Along with salt, choose some things that have a correspondence with each of the four elements. I used herbs because they’d fit in my tiny bottles. For Air and East, I used lavender buds . For Fire and South, I used whole cloves. With Water and West, I used a dried rose petal, and for Earth and North, I used oats (gluten free oats , lol). 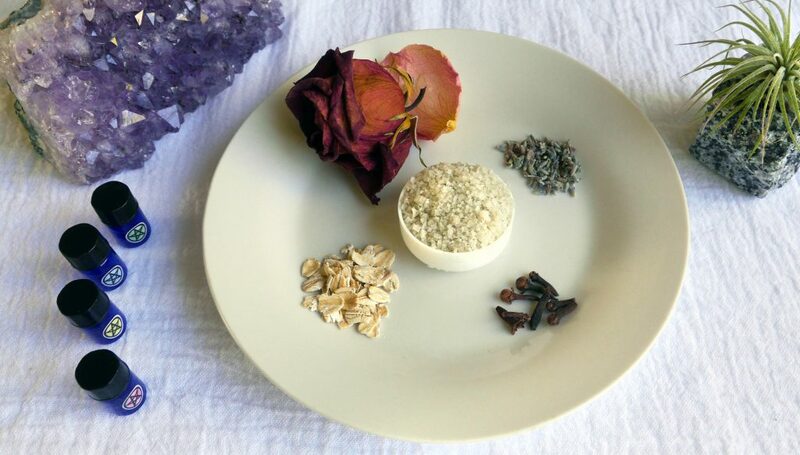 I picked cloves, oats, lavender, and rose petals for my salt circle bottles because that’s what I have in my house. Use things that you connect with. You don’t have to use herbs. You can use crystal chips, or colored glitter or even sidewalk chalk and color the salt according to the element. If you have nothing else, cut a strip of paper and write the element’s name or symbol in colored paper and place that in the vial with the salt. Or, just fill your jar with simple salt and let the jar decorations themselves stand for the elements. That works too. Now, fill your bottles! Add herbs and then salt to your salt circle bottles. That’s it! 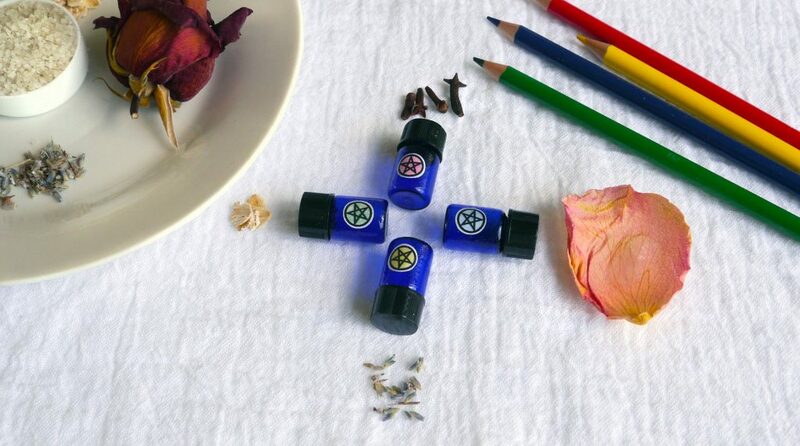 Now you have multi-functional jars that represent the cardinal directions and the elements, which you can use to mark the bounds of your circle, and they have salt for grounding and protection. It’s a salt circle without the mess or possible destruction to wildlife. If you give this a try, let me know how you liked it! Comment below or tag me on Instagram @the_raven_and_the_lotus! how to do the diy?